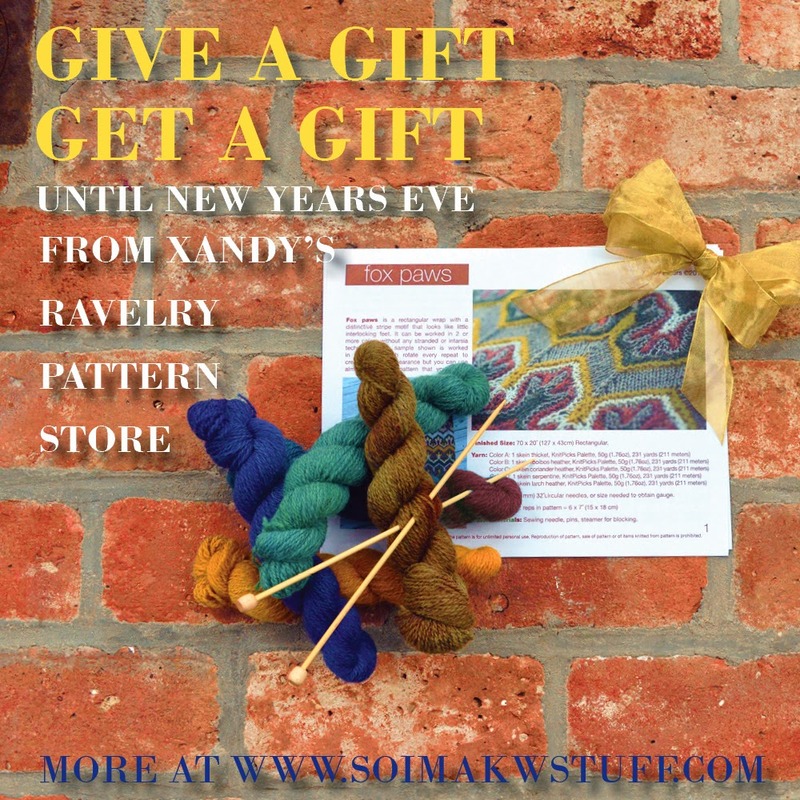 Have you been so busy that you forgot to get gifts for your knitting friends this holiday season? 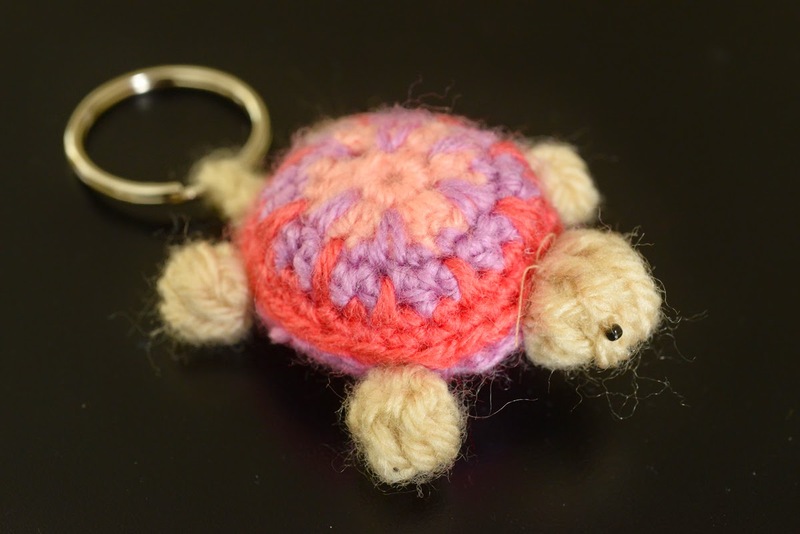 I am doing a promo where if you gift a pattern before new years I'll send you one too. 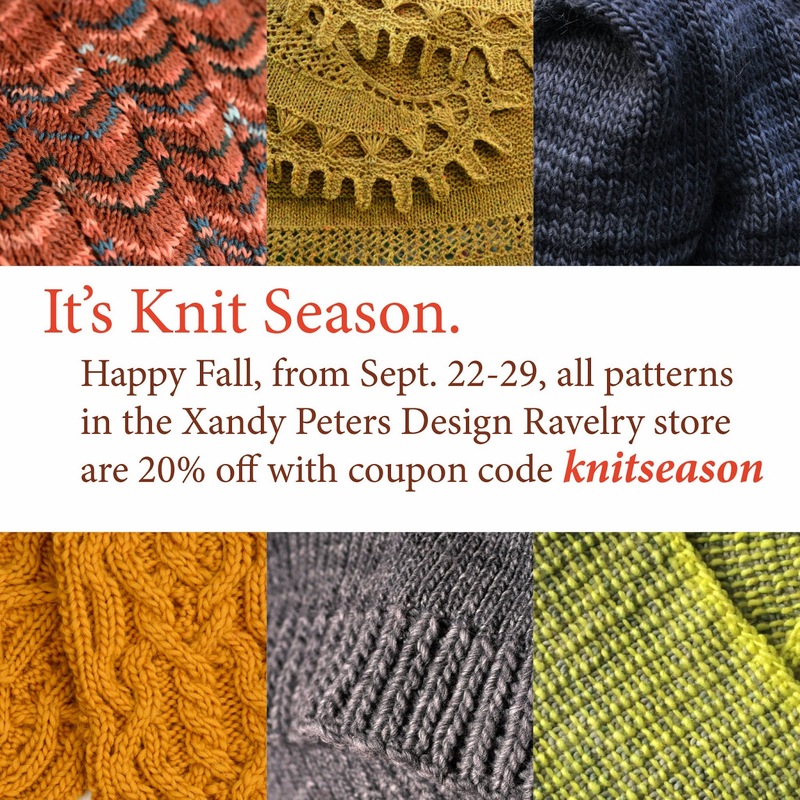 Not to worry if you already have the gift pattern, substitutions are OK.
Just keep in mind that this is not an automated Ravelry sale and there may be 1-3 days lag time to deliver your PDF. 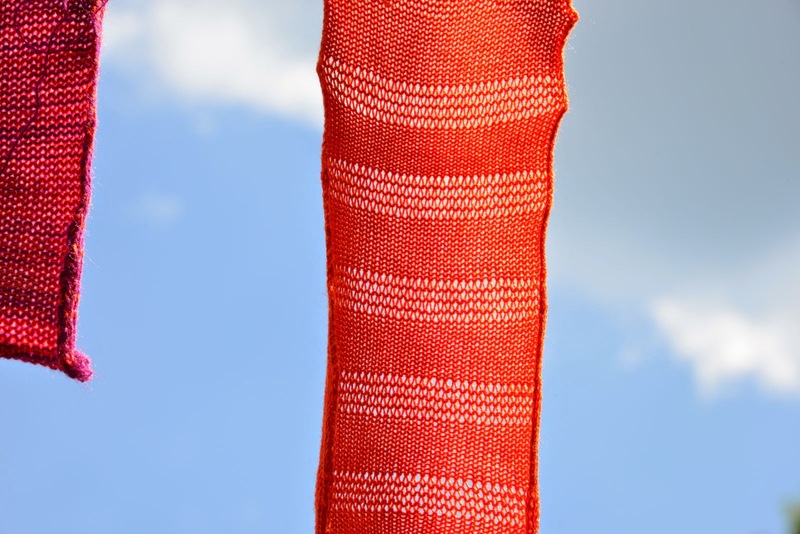 The Zipper is a unisex sideways knit scarf with a unique ripple pattern. 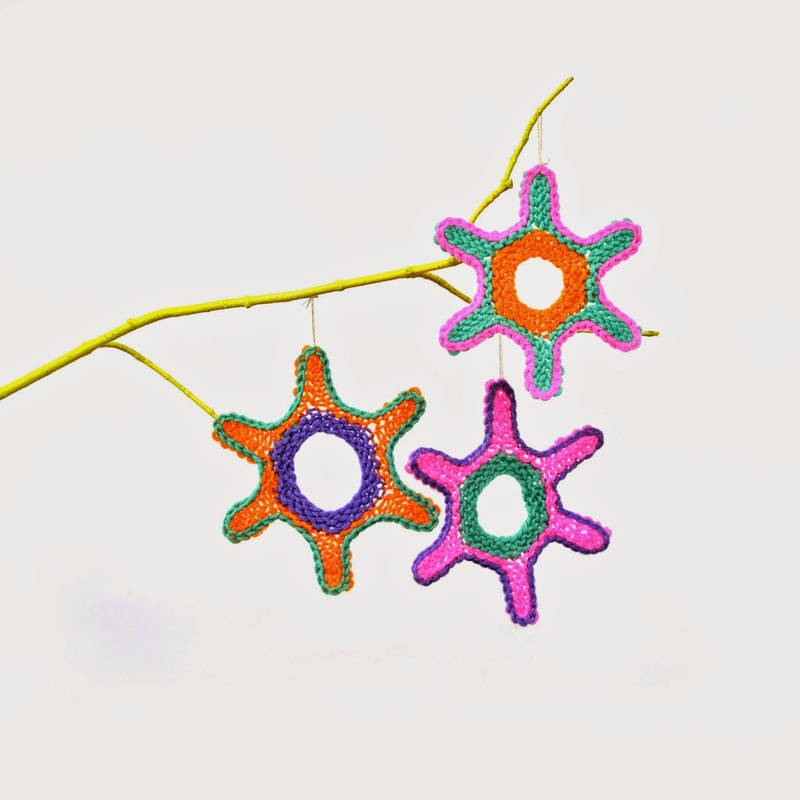 Inspired by the dots and curves in Aboriginal art, the wave motif provides a great foundation for any color combo. It looks great in dark colors or brights, making it bold or subtle. 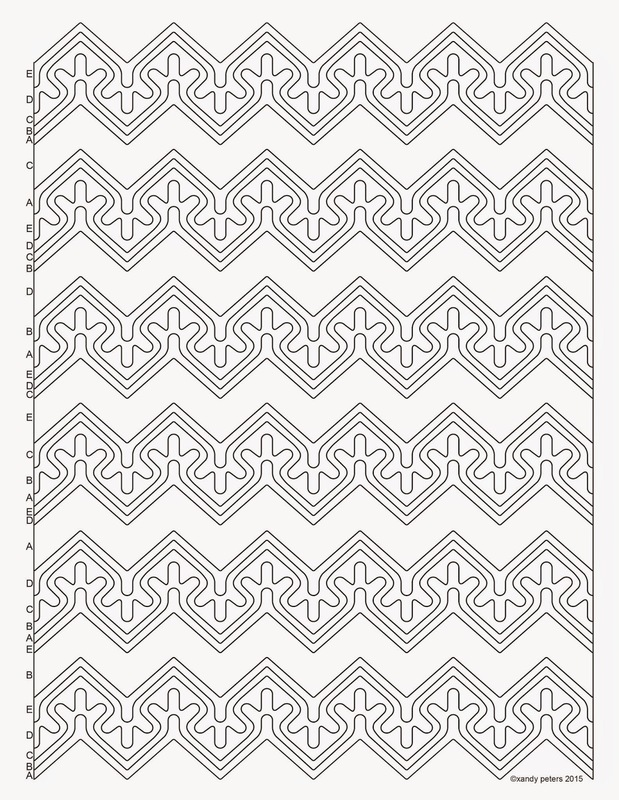 This pattern inspired a lot of graphics and animations when I was exploring color combos, but I'll stay on topic and post them later. 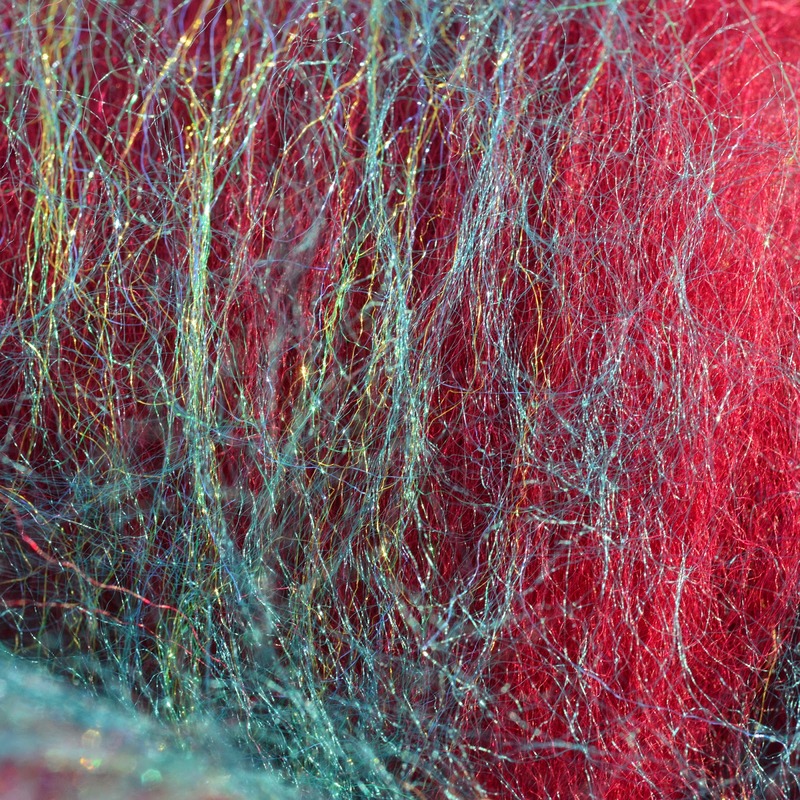 Fiber friday: Medieval book repair, indigo, and morre indigo. 1. Medieval books were precious and expensive, but the parchment they were written on was not always pristine. 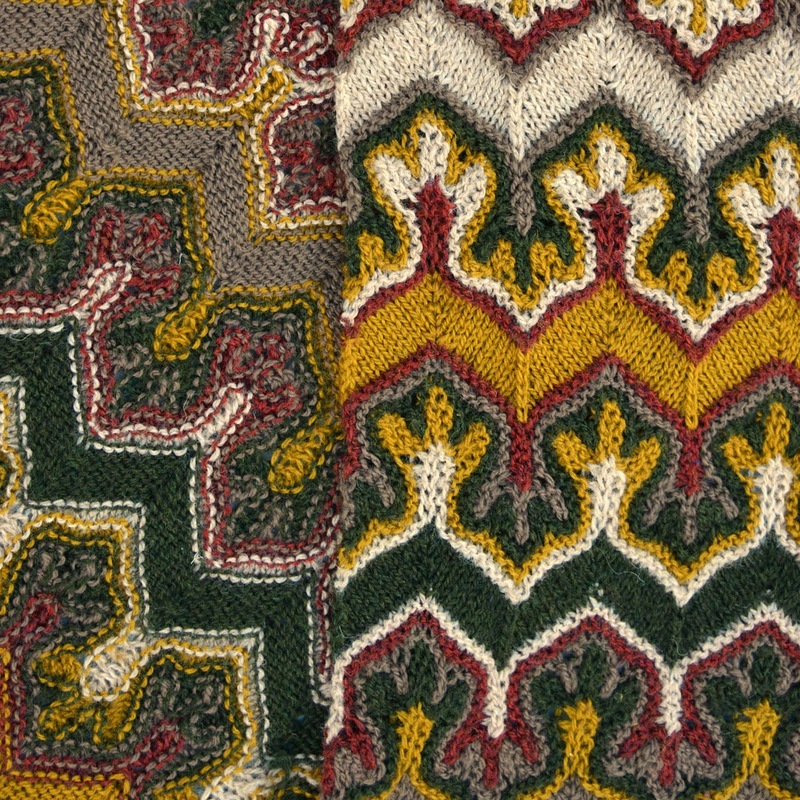 You can read about the way these books were patched to turn ugly imperfections into colorful art as historian Erik Kwakkel studies these examples. 2. Don't think too little of that old pair of jeans. 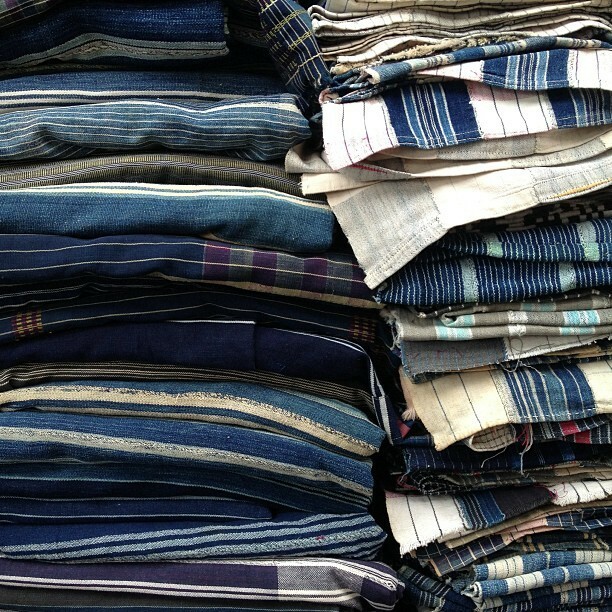 Indigo is an amazing and historic dye which creates that signature blue color. 3. no text, just more indigo. I'll be starting an indigo Dying vat soon (the kind you don't have to pee in) and there's urine in old style indigo BTW. These stars are a fun way to learn stacked increases. You may have seen these in the Fox Paws or Solarita patterns and wondered how they work. 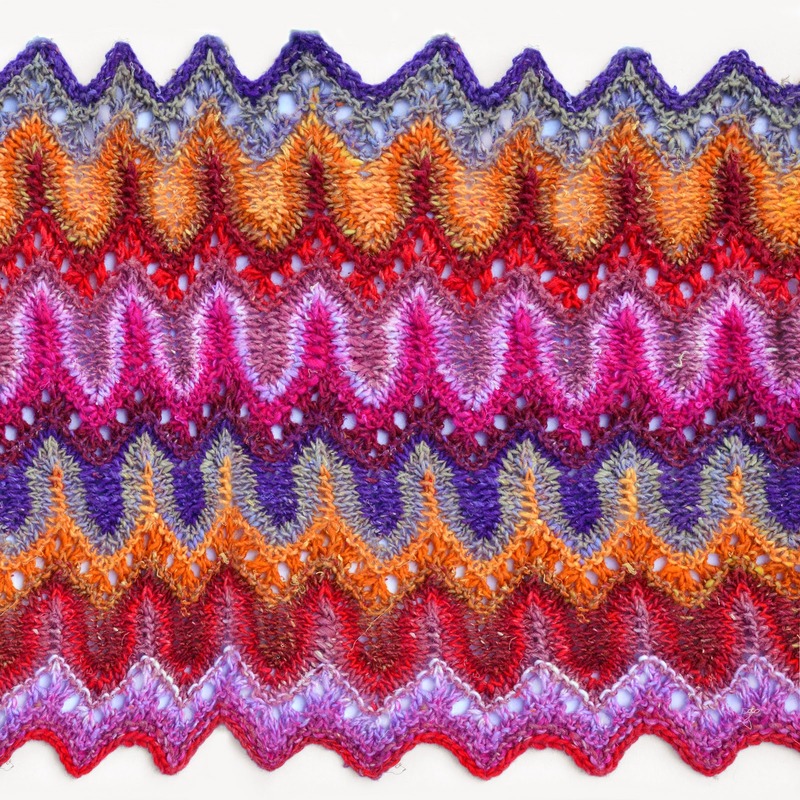 You can use these fun stars to practice stacked increases before jumping into a more complex project, or just make them because they're a lot of fun.This technique can be used to create lobed edging, flame stitch motifs, and shaping. 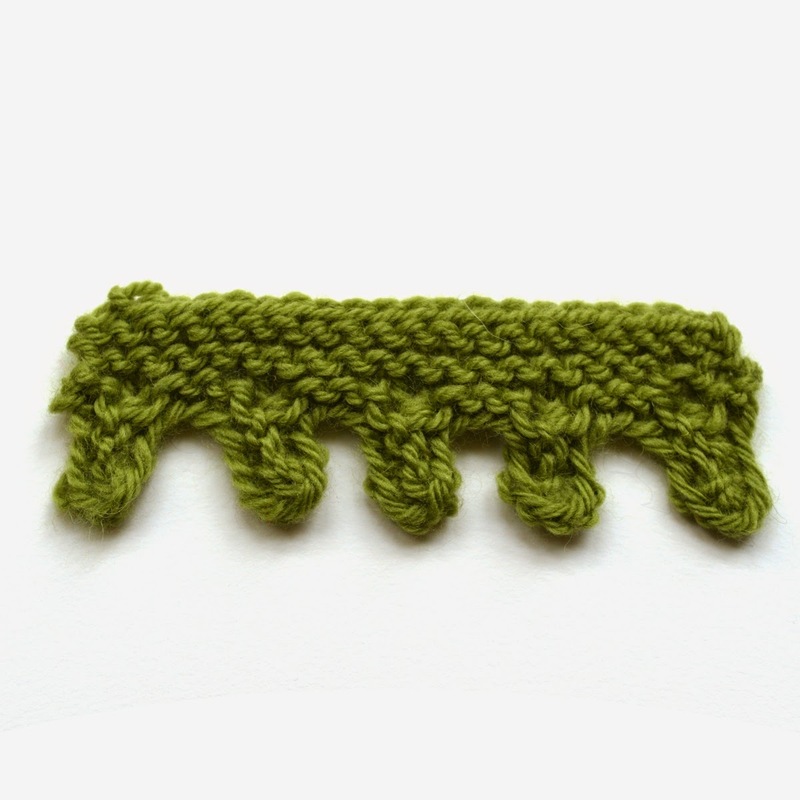 Stacked increases are worked by slipping stitches back to the left needle to work them again. 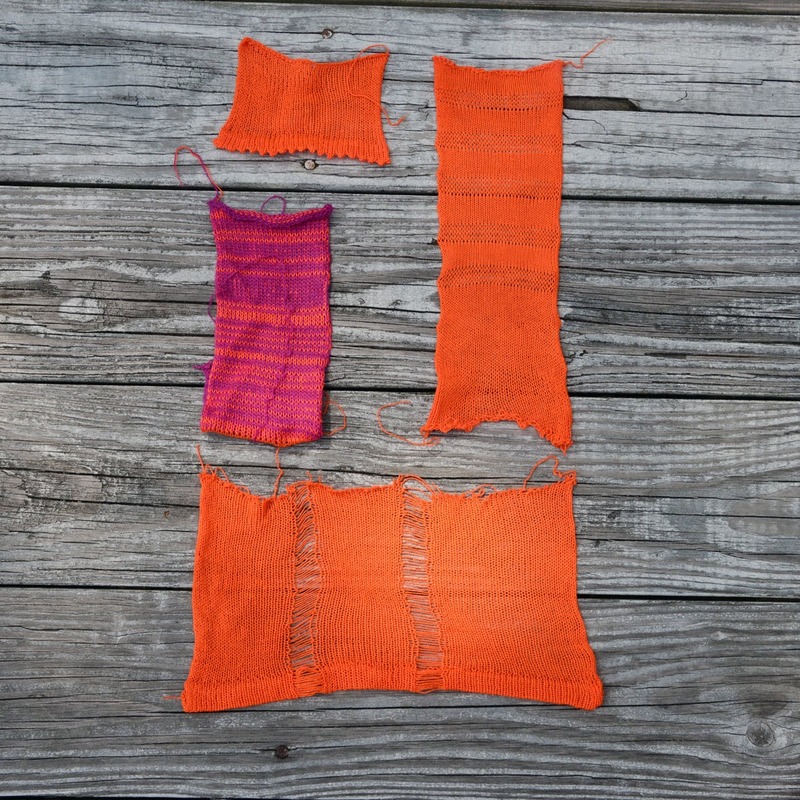 If you've learned how to work a stacked increase in my first article and possibly tried making a Star, you're ready to come up with your own patterns that use this unique stitch. This article is going to focus on how to adjust the height of your stacks and go over some of the math. It is a lot like how you change the height of a stacked decrease. 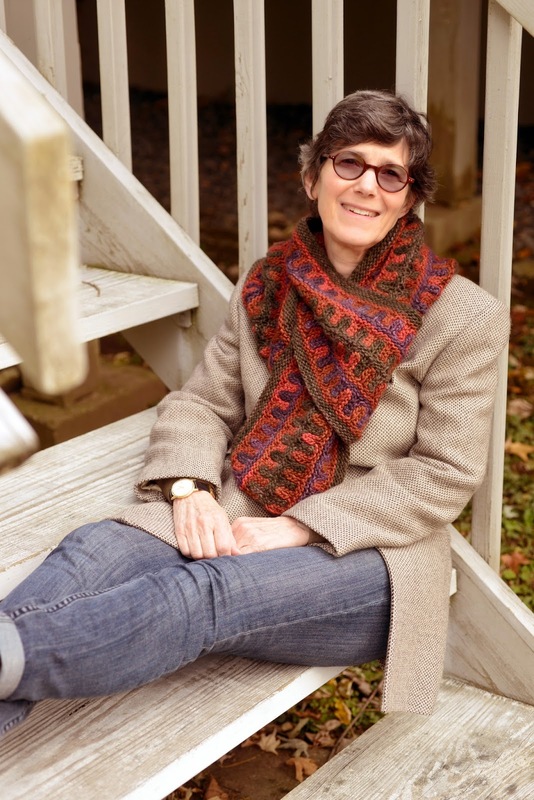 There are so many people interested in knitting the Petal Cowl and Fox Paws, but not all knitters like to jump into a project with new and uncommon stitches. 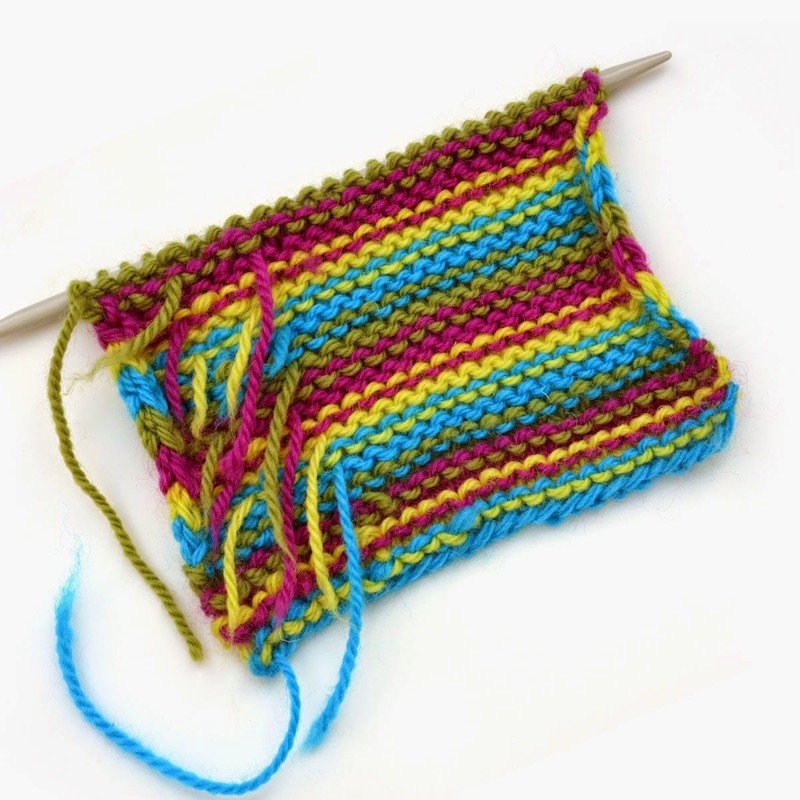 I've put together this article, a video tutorial, and a free pattern to introduce the fundamental increase that makes these patterns work. 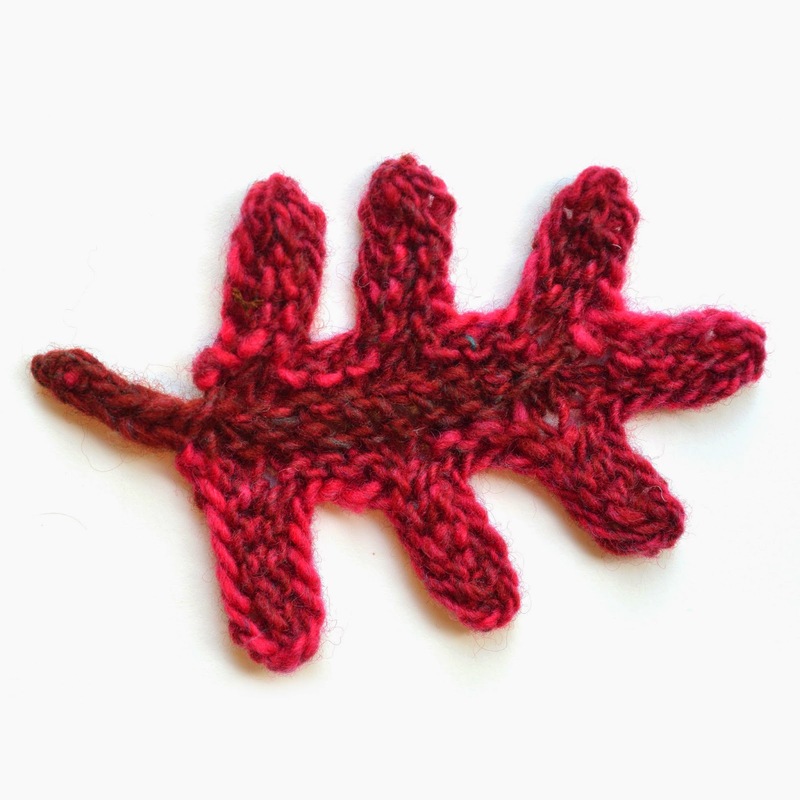 If you've learned how to work a stacked decrease in my first article and possibly tried making an oak leaf, you're ready to come up with your own patterns that use this unique stitch. This article is going to focus on how to adjust the height of your stacks and go over some of the math. Don't worry, it's not too hard. 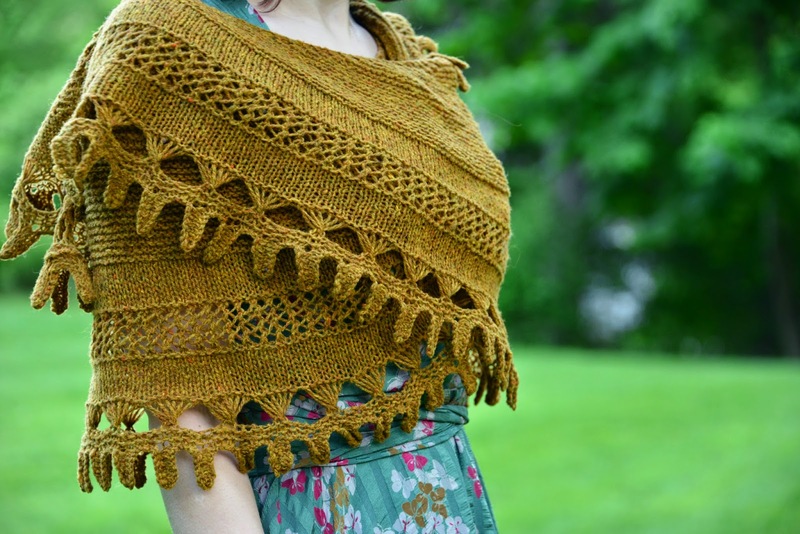 Some knitters have been asking about stacked decreases lately. 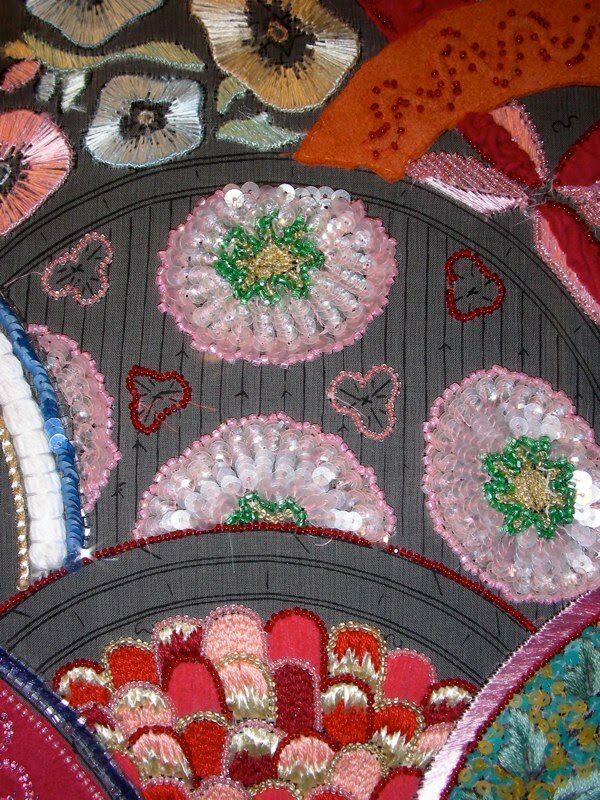 In response, I've put together this article, a video tutorial, and a free pattern that uses this technique in a few ways. 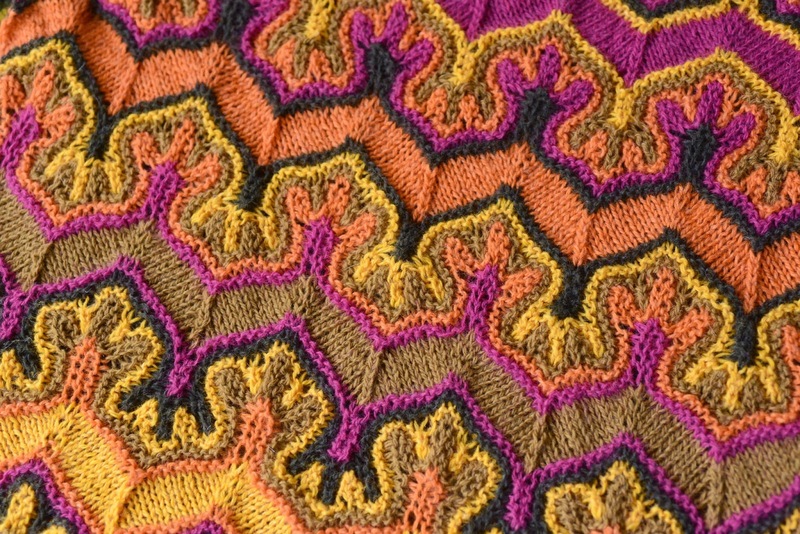 Since publishing my Petal Cowl and Fox Paws patterns, there have been many emails from knitters asking whether they're interpreting the pattern right or wondering how I took these stitches and put them together into a pattern. I'll go over the basics of how to do the decrease here, then, in the next article, we'll move on to some design tips. The Oak Leaf is a fun little introduction to stacked decreases. 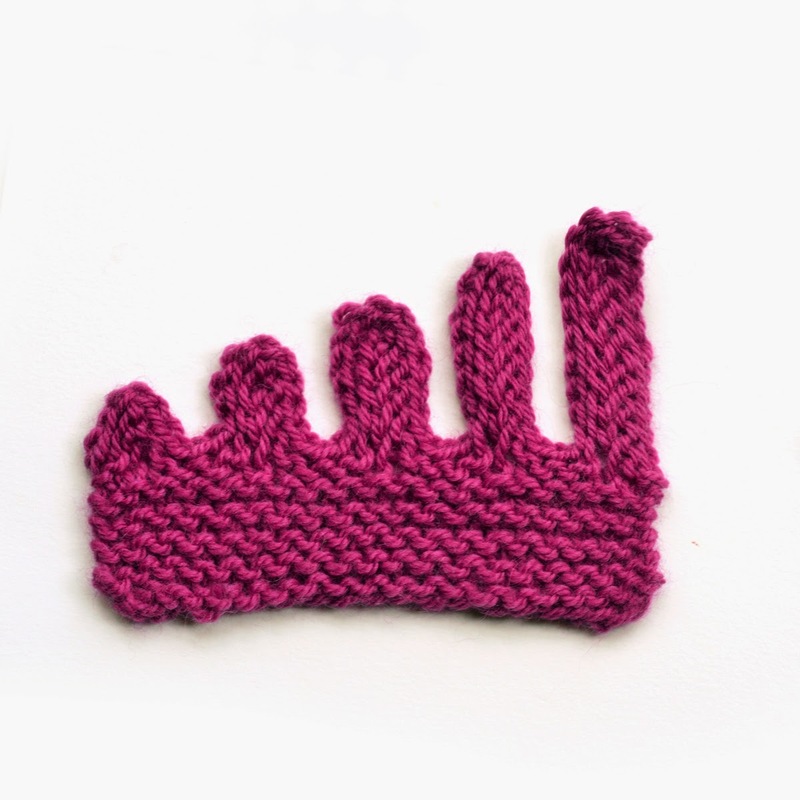 This technique can be used to create lobe shaped edging, flame stitch motifs, and shaping. 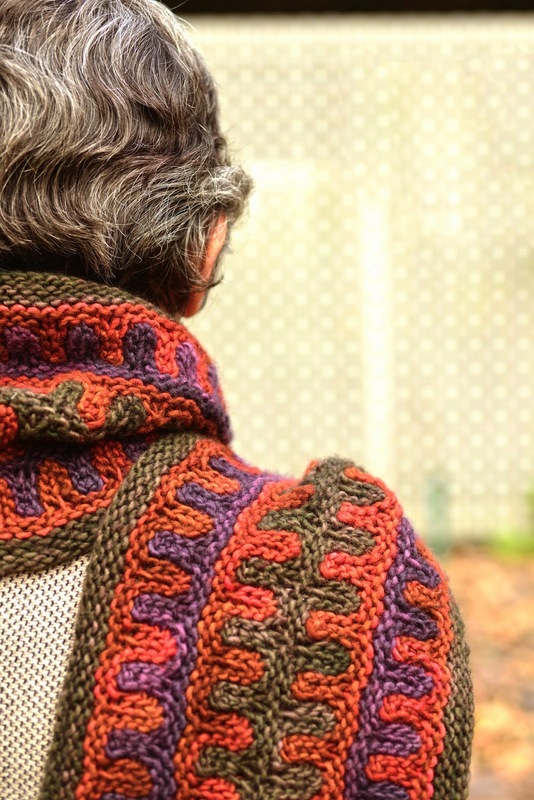 Stacked decreases are worked by slipping stitches back to the left needle to work them again. 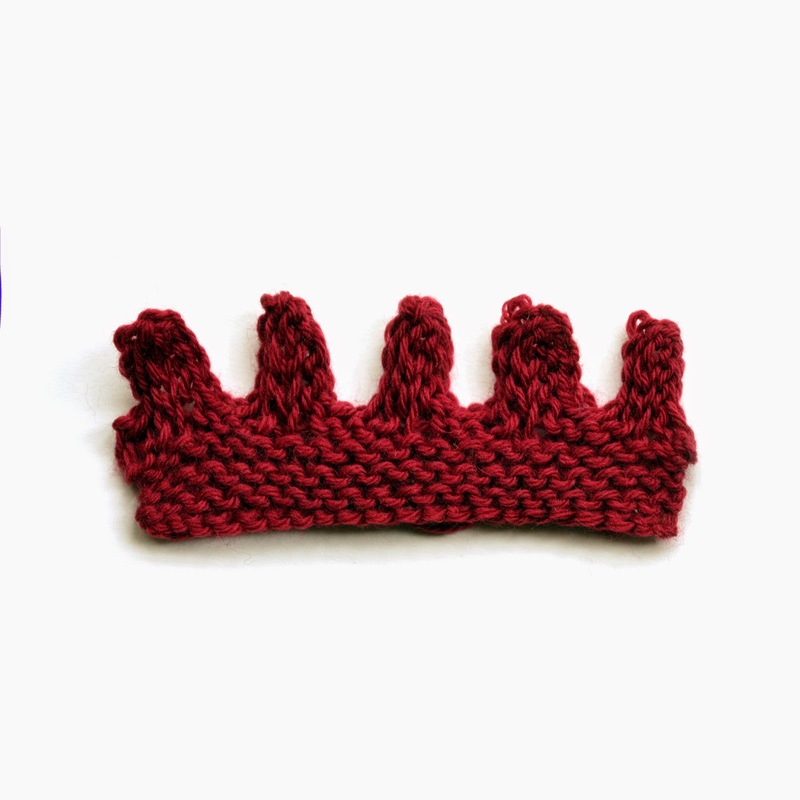 If you're one of the many people who has started knitting Fox Paws in the last few weeks, you know that there are certain advantages to using 5 colors of yarn. They generally look good because there are so many of them. In any case, the questions have been coming in about what to pick, how I picked my colors, and how to arrange them in the best order. I'm posting this to show a bit of color theory and process behind my decisions. 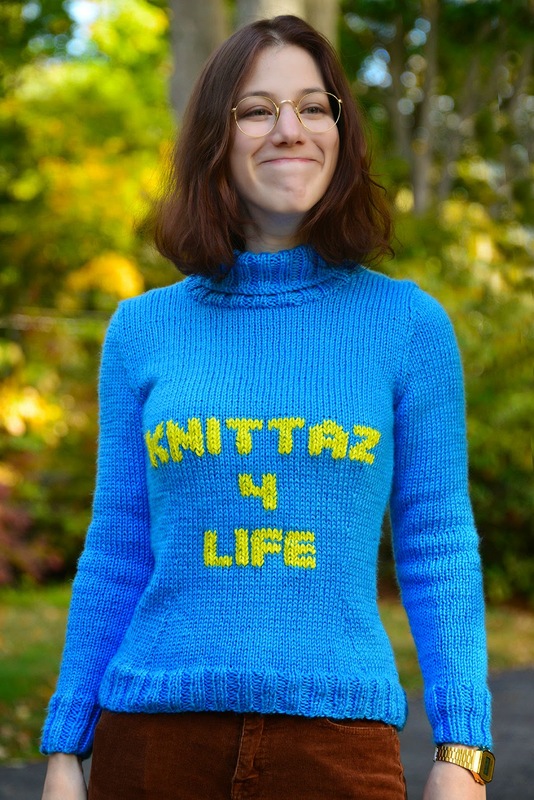 I'd like to encourage all of you to add some advice that you have for other knitters as well. How did I pick my colors? Let me explain. These days we hear the term "Super Moon" all over the place. What does this mean? To me it is a great opportunity to get a good photograph of the moon. Scientifically in astronomy it is called a perigean full moon,that is, a full moon closely coinciding with perigee – the moon’s closest point to Earth in its orbit. The Moon follows an elliptical path around Earth with one side ("perigee") about 50,000 km closer than the other ("apogee"). Full Moons that occur on the perigee side of the Moon's orbit seem extra big and bright. 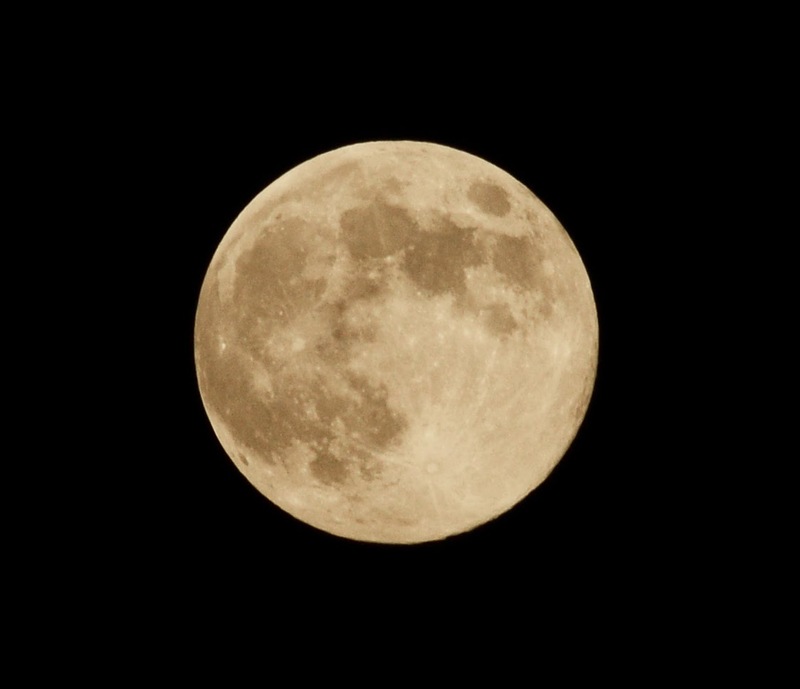 On August 10th it becomes full during the same hour as perigee— making it an extra-super Moon. Everyone wants to capture this photographic experience for themselves. Unfortunately, photographers are often disappointed because the pictures capture only a bright white dot on a black sky and no detail in the moon. I will break down step by step how I get good results. If you have a DSLR camera this information may be basic but I want to make sure I share all of the important information for all levels of learning. 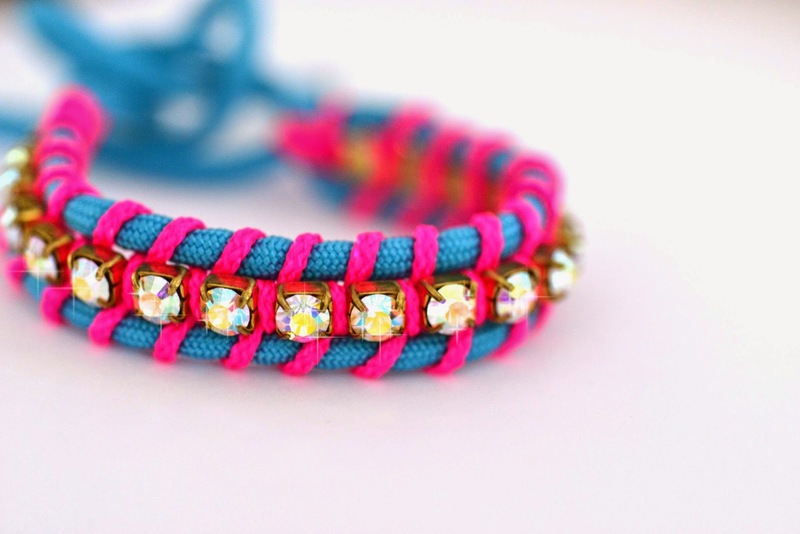 Since it's summer again, I've started making some friendship bracelet videos again. The latest one has some extra bling added in the form of a Swarovski crystal cup chain. 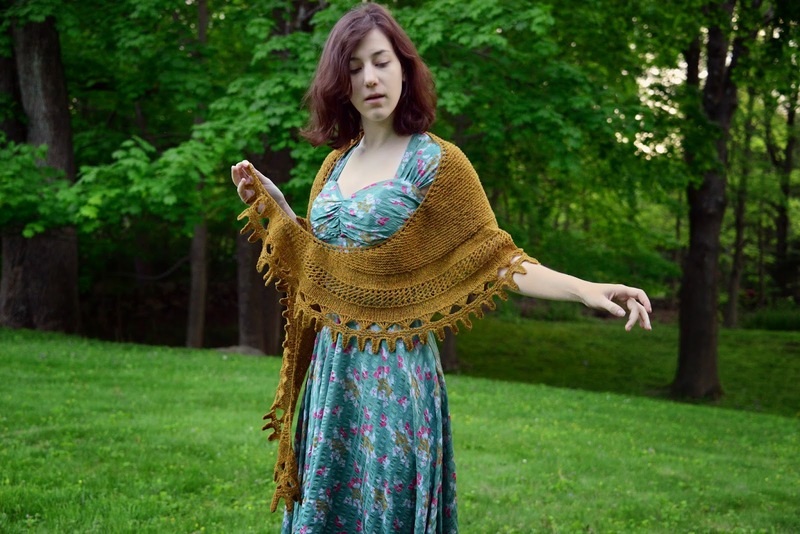 I was thinking of the sun, margaritas, and very warm, autumnal shawls when I designed this crescent wrap. I'm even cold in the summer sometimes. Especially after dark, or in late August when the weather starts to shift. Thinking of the summer sun setting as I sit outside with friends, chatting and watching the sky change color - this is when I start to shiver and look for something warm like the sun. 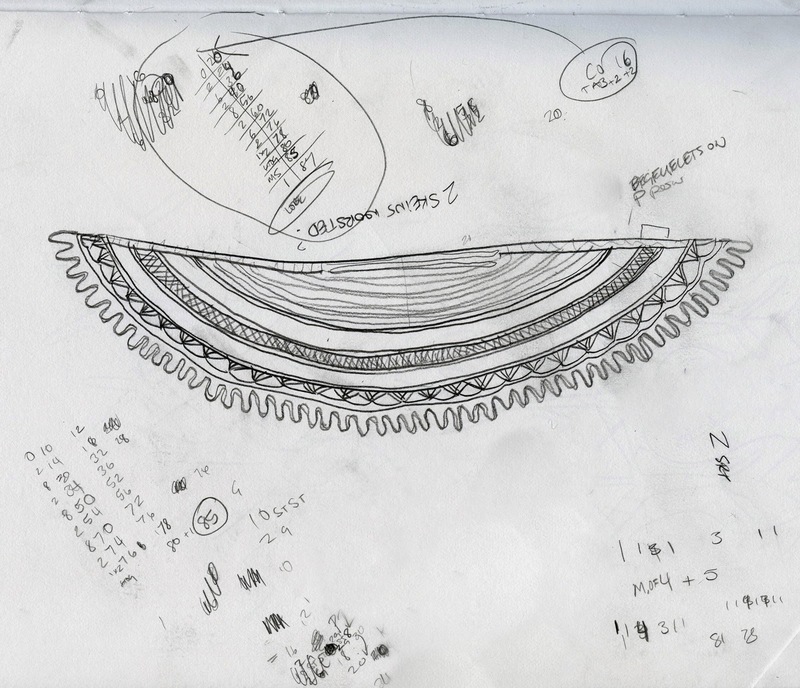 So I drew up a shawl like the setting sun in my sketchbook. 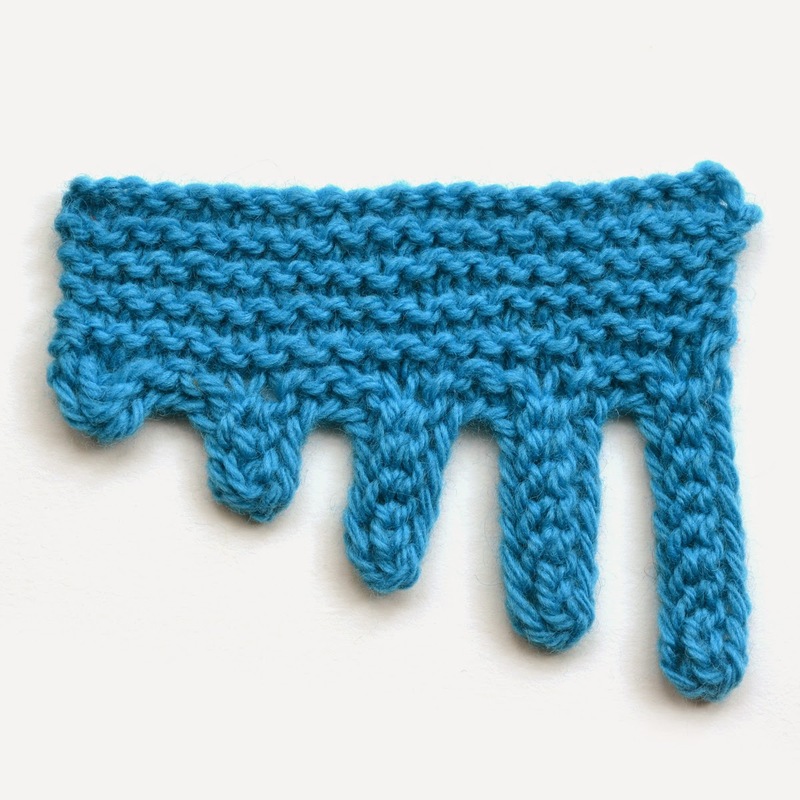 It has a bold border with triangles and finger-like fringe. 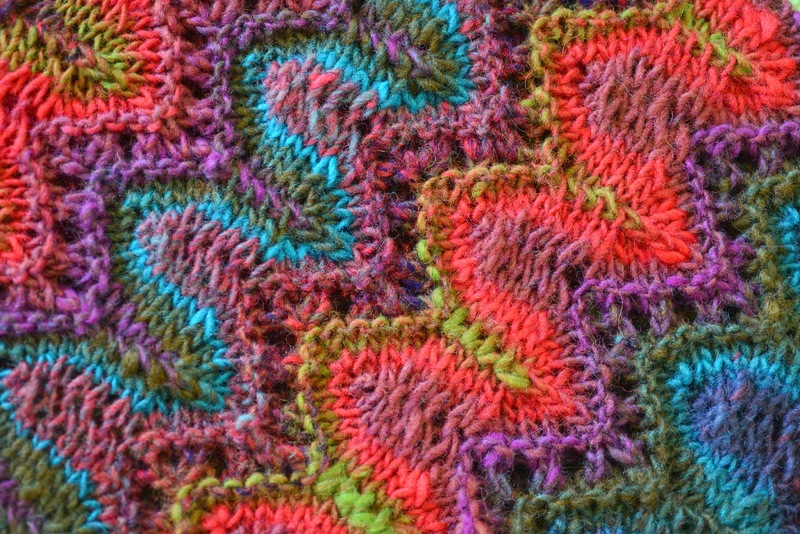 I found another use for my crazy stripe stitches that did not need color changes to show up. 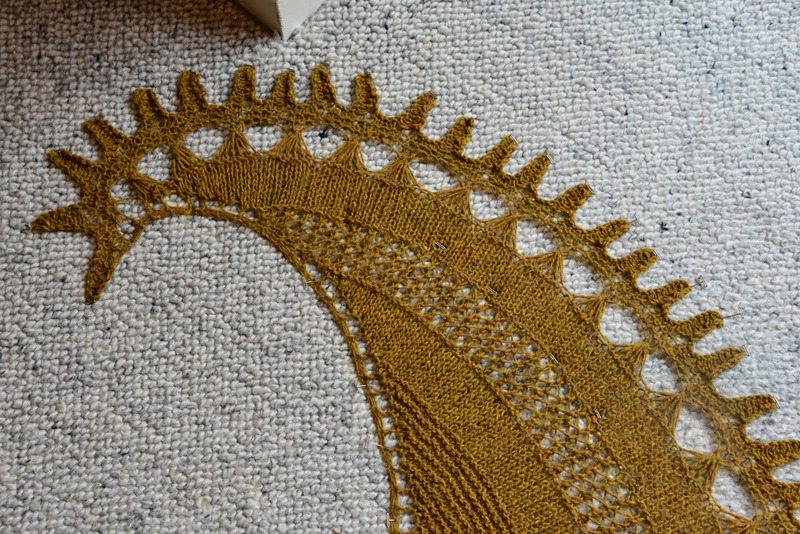 Surprisingly, the finished shawl looks almost exactly like the drawing, That rarely works out so well. 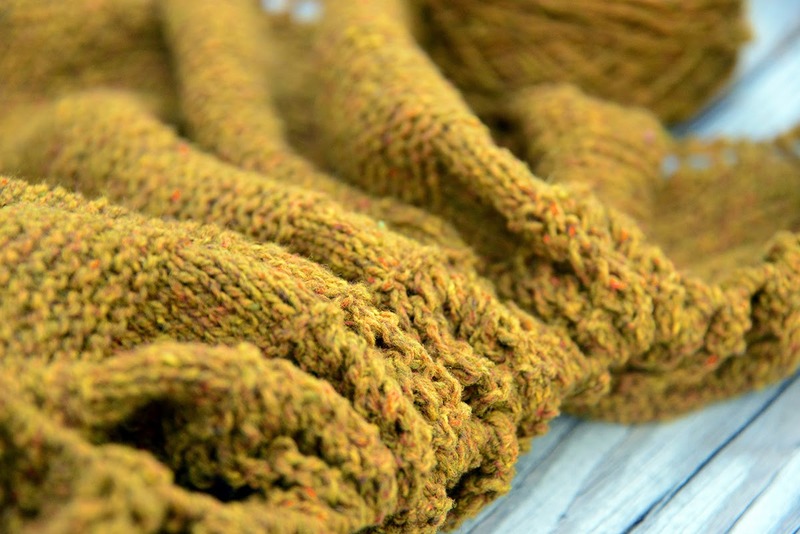 The yarn is Brooklyn Tweed Loft, a very springy yarn with bright flecks of orange and green undertones. The best part is that it matches my favorite (only?) formal dress. No more cheap ugly cardigans or cold arms. 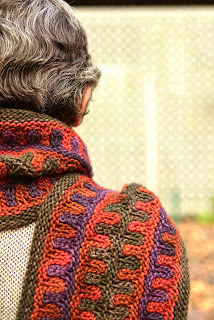 If you are interested in this pattern, you can check it out on Ravelry or buy it here. 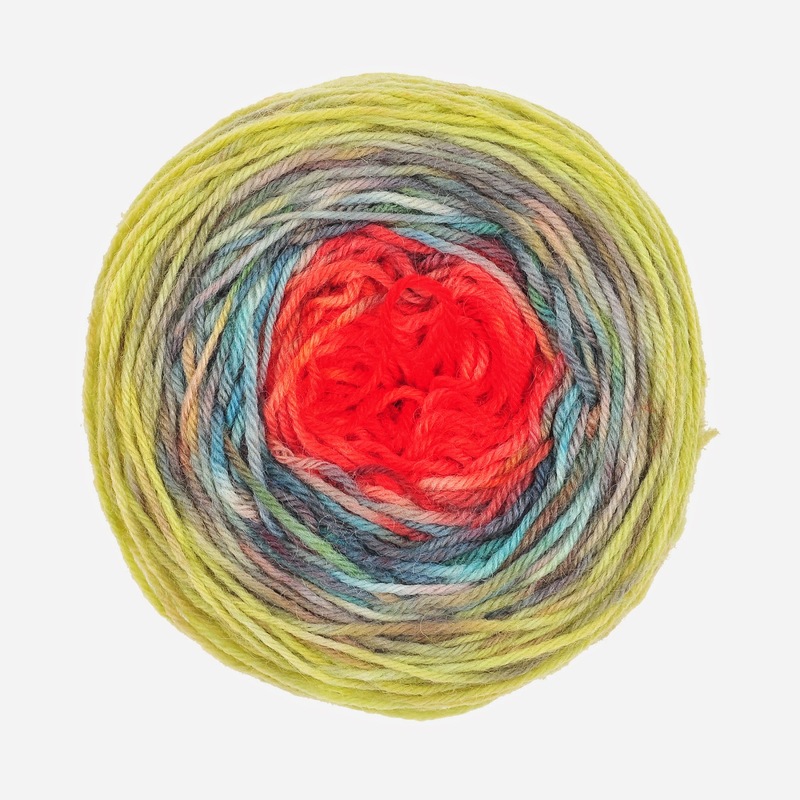 Last year, for mother's day, I gave my mom sock yarn gradient dyed in her favorite colors. Last year, about 2 months after getting into drop spindling, I was able to convince my mom to come with me up to a fiber fair in Vernon CT. This year, it was decided that we are turning this into a tradition. CT is a small state that doesn't quite fit into one cultural region, I live in an NYC suburb, but the upper part of the state has farms, sheep, and Red Sox fans (or so I've heard). 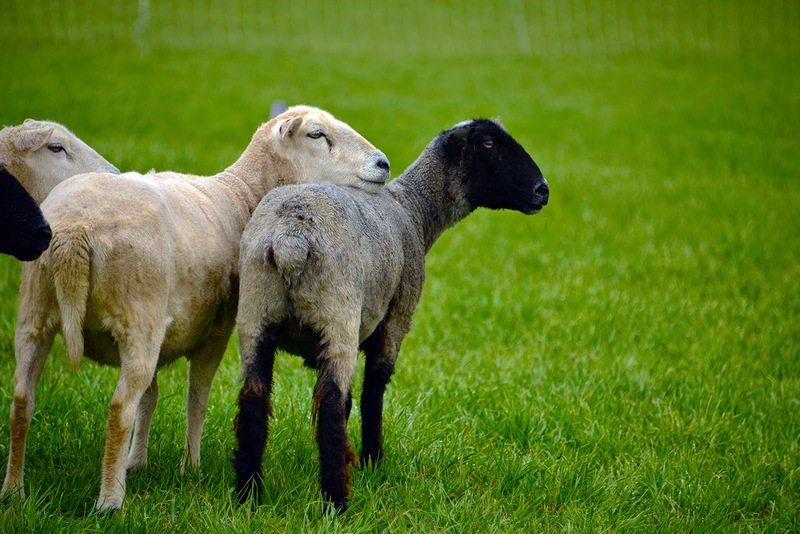 The vendors at the wool festival tend to be from all over New England with a few NY and NJ vendors. 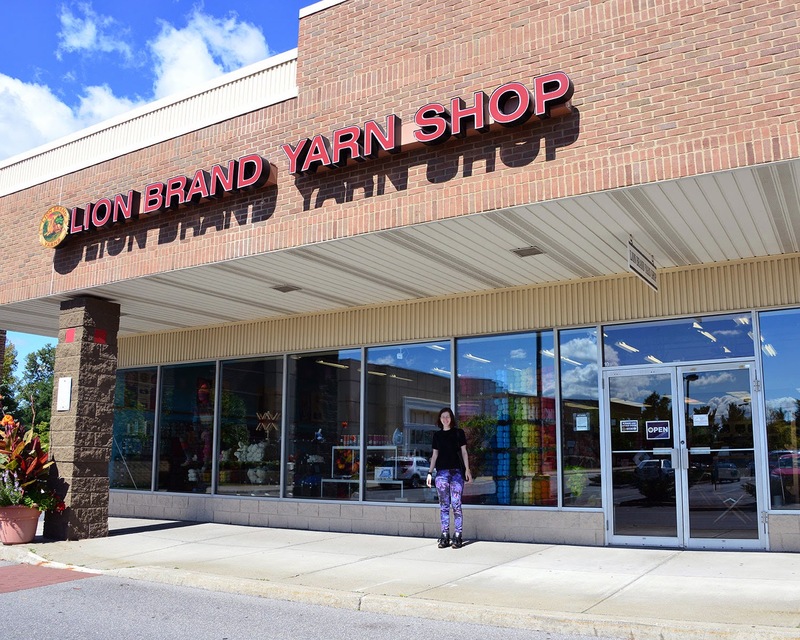 It is worth visiting purely because these people are just so incredibly friendly, helpful, and overall amazing. This year's weather wasn't awesome, but the vendors are mostly in 3 barn structures, so rain is not a big issue. 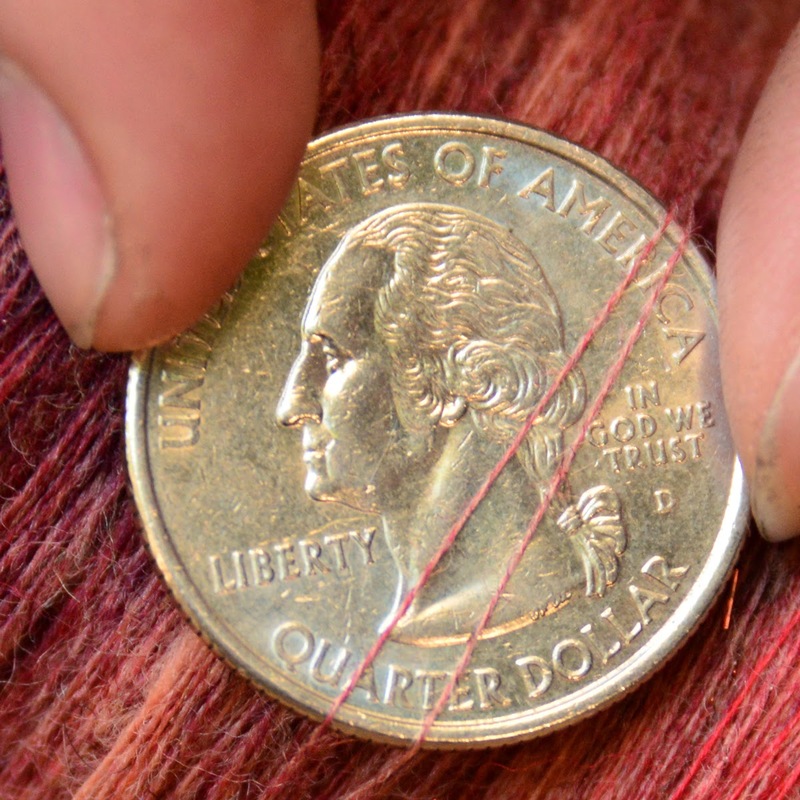 My mother took some pictures, I was way too busy shopping and learning about fibers to stop and document. 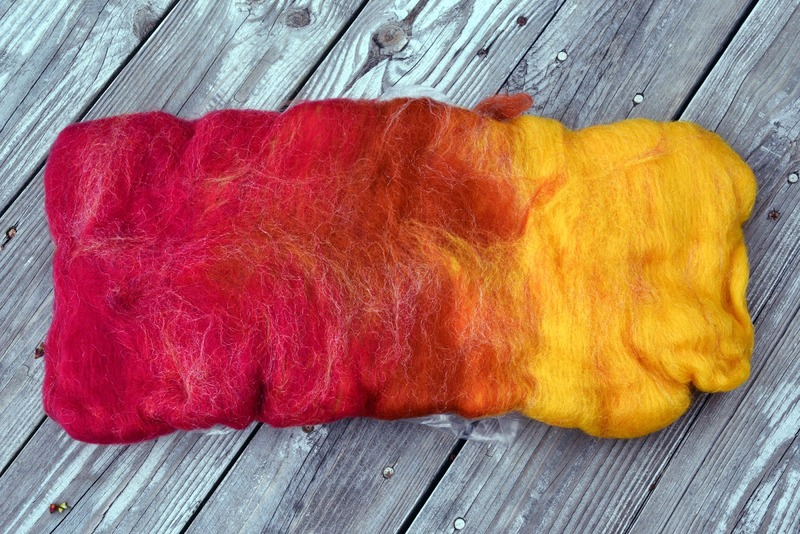 I got a batt at this stand in wool and firestar. I also picked up a cool one for a friend that couldn't make it to the fair. I am looking for the info on the ladies who made these, it will be posted later. 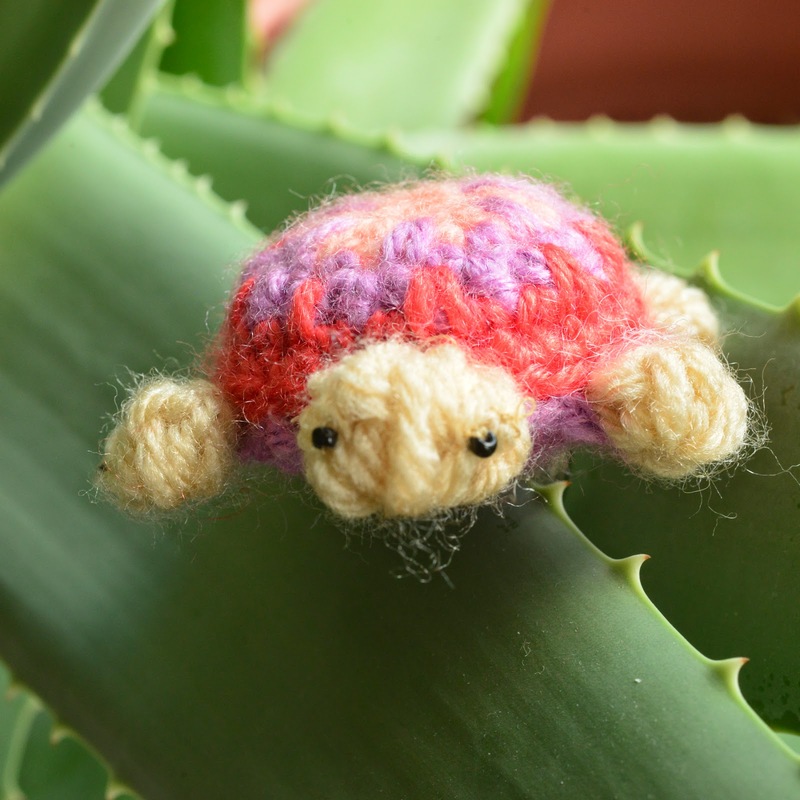 I saw a friend that I made last year, she owns Blue Button Farm and had these super cute turtles in great colors. He will show up a lot in the future. 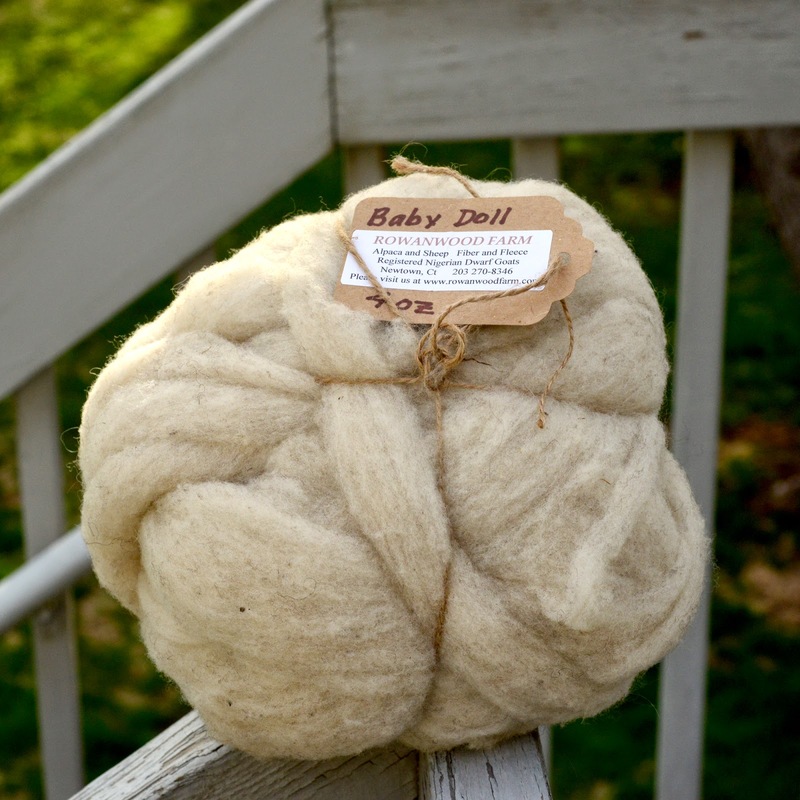 I also got a handspun skein from Leslie Alexander and a ball of babydoll roving from rowanwood farm at the same stand. 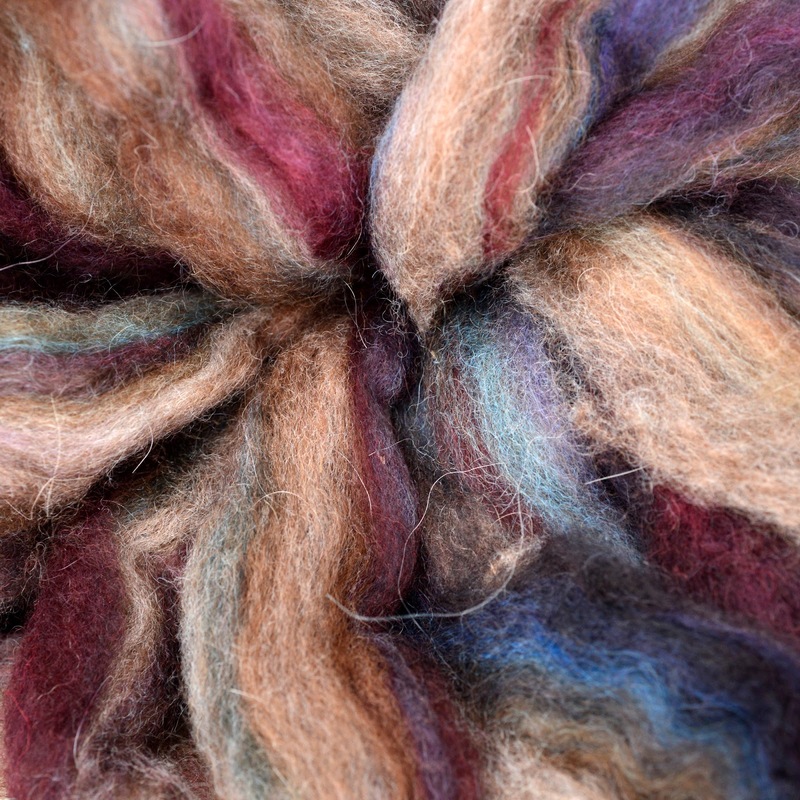 The roving is extremely springy and soft, perfect for woolen yarn. Alpaca Obsession had a great selection of blended rovings in all sorts of colors, not all alpaca. I got some of these earth tone bundles. 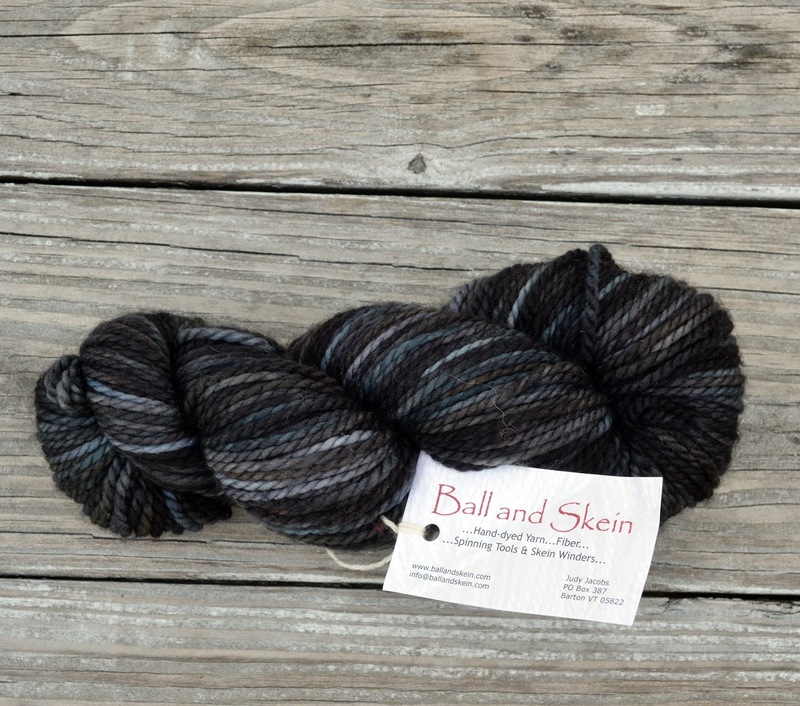 Last, we stopped at the Ball and Skein stand. 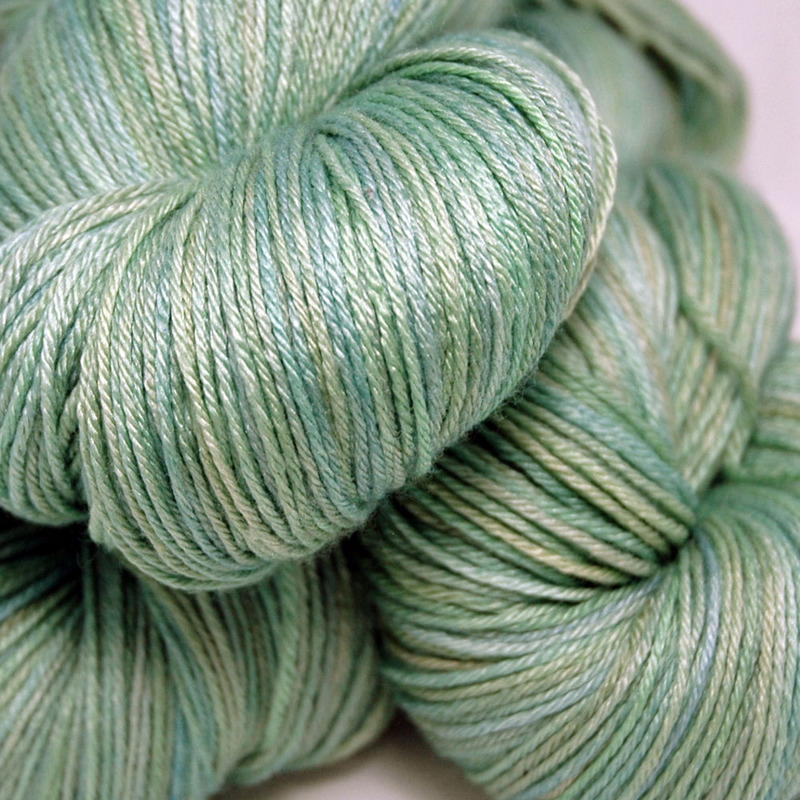 They have some of the nicest hand dyed colors I have seen. 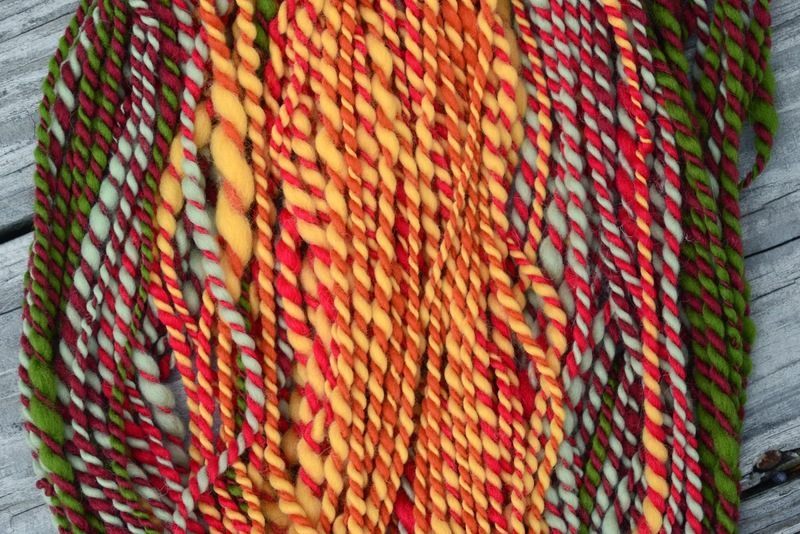 My mother got this silk wool blend . I got bulky wool for a hat, and some lace weight. 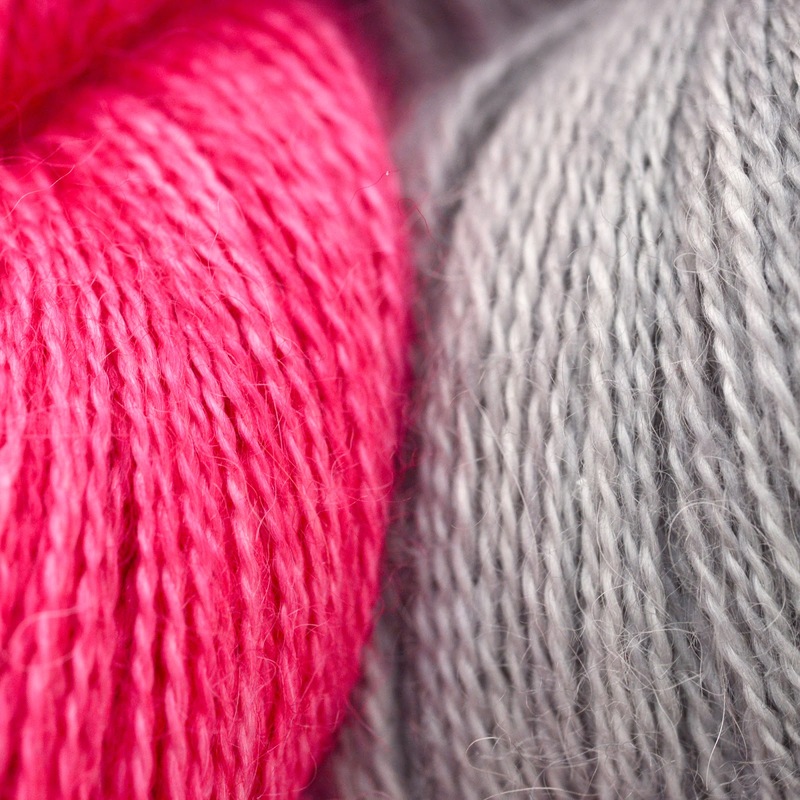 I just can't decide yet if these colors should go together to make a huge cozy merino/silk/cashmere shawl. They are sporty and fun, but I don't know what it would look like yet or if I'd rather use them as separate solids. Input is appreciated. If you live in the area, next year, check out the fair. 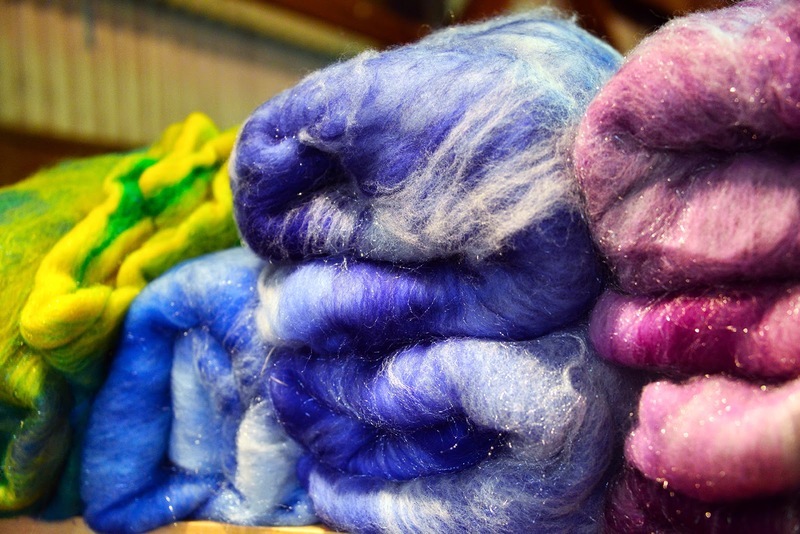 It is a great place to meet local farmers, spinners, and dyers Including so many that I didn't take pictures of.